The 122 contributors to The Conservation, Restoration, and Repair of Stringed Instruments and Their Bows have generously donated their articles to the publication in support of its fundraising objective. Consequently, all profits from the sale of the book will support the ongoing research, reforestation, and educational activities of the International Pernambuco Conservation Initiative. Developing and publishing the book has required a rigorous editorial process over a period of eight years, involving editors, translators, illustrators, designers, and publishing professionals. 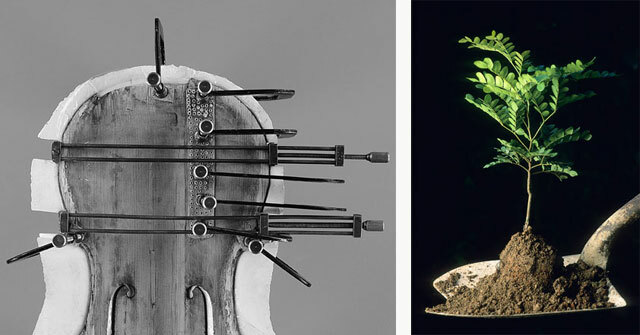 Together with private donations, this work has been underwritten by Wilder & Davis Luthiers Inc. With the help of pre-publication subscriptions, Wilder & Davis has also ensured the book's production and printing. After a partial cost recovery on the sale of the first 500 copies, 50% of all receipts from sales will be contributed to the IPCI, increasing to 100% once production costs have been recovered.